Dance Laboratory Project (D_LAP ) is a research and development project that seeks to explore intercultural understanding, philosophical perceptions, technical and methodical approaches in choreography, dance and performance arts through stimulating critical discussions and practical exchange. D_LAP affords participating artists a rare opportunity to explore and expand ideas, as well as questioning and understanding the influence of cultural and artistic diversities. Establishing a transnational network between participating artists in supporting self-sufficient artists is a main goal, with the long term intention of creating greater understanding, tolerance and space for emerging cutting edge artistic work. D_LAP invites artists from different cultural backgrounds and regions, however it does not focus on cultural or national representativeness. All together the project seeks to promote and stimulate critical discussion about the arts while bringing attention to DIY-methods, artistic strategies and cultural persistence. D_LAP invites participants from various artistic practice to reflect upon some of the crucial issues around which we build the conditions for living together, whether in art or daily life. These issues will be addressed and challenged in both bodily and intellectual terms, by the enactment of each other’s choreographic and performance practice, and a continuous exchange of thoughts and concerns. D-LAP is at first to be a knowledge generating project, which does not require an end production of a work from the participants. Nevertheless, an experimentation of ideas will be presented at the end of the program. D-LAP #3 is hosting a collective initiative project which is called DANCE IN ASIA. The first Dance in Asia was held in Osaka, Japan in February 2018, and the second one was held in May 2018 in Taipei, Taiwan. It is a collaboration among Century Contemporary Dance Company (CCDC) Taipei, Taiwan; Js Wong Dance Company, Kuala Lumpur, Malaysia; NIBROLL Dance Company, Tokyo, Japan and Studio Plesungan, Karanganyar, Indonesia. D-Lap #3 is a third platform for the collective which should create a kind of blue print for the continuation of the collective projects. It is planned to take place in four countries: Indonesia, Malaysia, Taiwan and Japan. The collective will continue the project in different forms according to the local host program. She is Associate Professor (specializing in performing arts) in the Faculty of Literature, Arts and Cultural Studies at Kindai University. 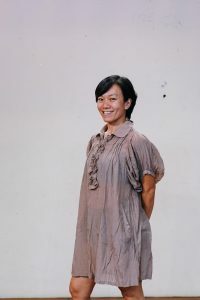 She founded the dance company Nibroll in 1997 and organized the theater company Mikuni Yanaihara Project in 2005. She serves as the leader of both of these companies. She has won the highest praise for her work in both the genres of dance and theater, and staged many performances outside Japan. Besides actively collaborating with other artists in Japan and other countries, she has been broadening her activities in other Asian countries in recent years. 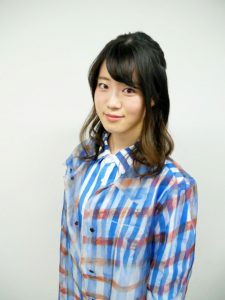 She received “KISHIDA screen play Award”(2012),”The Yokohama City Cultural Prize”(2012), ”The Japan Dance Forum Award Grand Prix”(2009) and others. 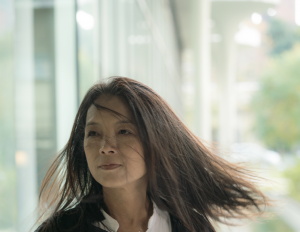 In 2015, she was appointed Japan Cultural Envoy by the national Agency of Cultural Affairs, and researched dance and theater in six countries in Southeast Asia. 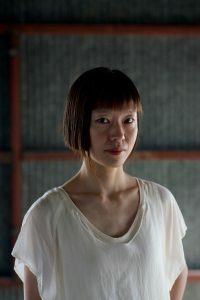 Graduated from New York University as a Master majoring in performing arts and choreography, Shu-Fen Yao, is now teaching in National Taiwan University of Arts mainly focusing on improvisation, composition and contemporary technique. She is the founder also the leader and main choreographer of Century Contemporary Dance Company. During her time of studying in the USA she got the scholarships from Merce Cunningham School and American Asian Cultural Foundation. The American dance magazine Attitude, had commented：“ from her there are many things to learn, and she is a precious dance performer”. In 1999, she was selected by the Ministry of Education to go to Paris Artist Village for one year. Her style changes with the time and her main concern is to reflect our time and the relationship between humanity and the environment. Shu-fen Yao tends to take the details of life as her materials. Her works often use fantastic realism style combined with 3 dimensional collages. Her works have a dreamy like feeling that is unique and singular. Wong Jyh Shyong received his Master of Fine Arts from Graduate Institute of Choreography, Taipei National University of the Arts in 2013 and Bachelor of Fine Arts from The Hong Kong Academy for Performing Arts with First Class Honors in 2005. He was previously a dancer with Cloud Gate Dance Theatre of Taiwan from 2005 to 2009. In the 9th and 11th BOH Cameronian Arts Awards in Malaysia, he received the Best Featured Performer award in 2011 and 2013. From 2013 to 2016, he was the artistic director of DPAC Dance Company as well as Damansara Performing Arts Centre (DPAC). 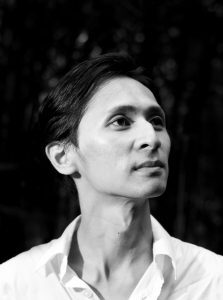 Under his artistic direction, DPAC Dance Company was a choreographic workplace which aimed to present dance productions with local artists and collaborative projects between Malaysian and international dance artists. Thus far, JS has staged his own choreographies and commissioned pieces in various festivals and venues in Australia, Taiwan, Japan, Hong Kong, Singapore, India and Malaysia. The laboratory will run under a working frame, which is prepared by the facilitators. The laboratory is an organic process that should be generated by the participants according to the platform provided by the facilitators. The facilitators are responsible to introduce the program, based on the concept. They are also expected to lead all schedules, arrangements, timetables, logistics and technicalities. The panel discussion is arranged to share elaborate ideas, opinions on selected subjects. The sessions allow participants to offer a specific technique, exercise, interest and concern, or work of art to explore and develop with the group. It should be discussed and planned beforehand with the group. Choreographic interactions and site-specific interventions, also to be planned in advance. Cross collaboration is a program that challenge the facilitators to choreograph and collaborate with dancers, musician and artistic director within the four participating countries. The cross collaboration will be a parallel activities with the laboratory in a form of creation. The result of the cross collaboration will be presented in a small presentation event. She started rhythmic gymnastics at the age of 8, and started contemporary dance and ballet at the age of 18. She has participated in works by Shinji Nakamura, Mako Kawano, Mikuni Yanaihara, Yao Shu-Fen, Pichet Klunchun, Miwa Okuno and Saori Hara as a dancer. She has participated in the dance company named Nibroll since 2010. She also makes solo works recently. She was placed 3rd in the Senior Solo Dancer Division of the Yokohama Competition in 2005. 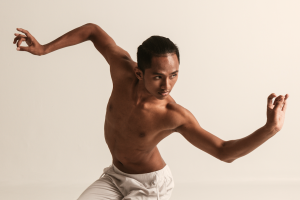 Otniel Tasman is a young choreographer who has strongly rooted on Javanese tradition, especially Banyumas tradition, his hometown. Tasman was exploring for Lengger Banyumas Tradition, as his mother tongue, it gives him experiences in making sense on every incident of his life and inspires him in creating works. The uniqueness of Lengger is danced by male, wearing female costume and make-up, the dancer commonly known as Lengger Lanang (Male Lengger). Otniel was exploring a lot of ideas based on gender identity of Lengger Lanang, and choreograph contemporarily for his works. 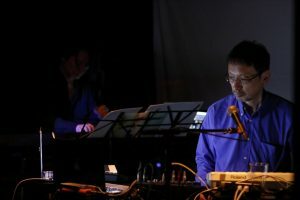 His works are Rohwong (2010), Angruwat (2010), Mantra (2012), Looping Back Mantra (2012), Barangan (2013), Lengger Laut (2014), Penantian Dariah (2015),Stand Go Go (2017), Nosheheorit (2017) dan Cablaka (2018). Otniel graduted from Indonesian of the Art Surakarta, Indonesia (2013), he had some collaboration works with national and international artists, such as: Ming Wong (German), Daniel Kok (Singapore), Maxine Happner (Canada), Hanafi Muhammad (Indonesia), Garin Nugroho (Indonesia). London, UK. 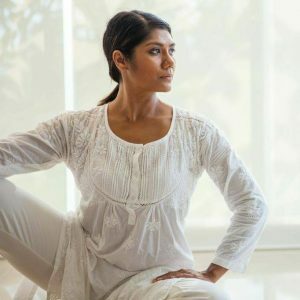 She was a Fairview International School Dance Educator in the Middle Year Program (IB) for two years, and currently a Dance Educator Specialist (DES) in the GCSE Secondary syllabus in Help International School. She continues to contribute her extensive dance experience towards the performing arts and education in Malaysia and abroad. 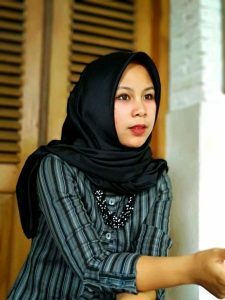 Born in 1992 in Kotabumi, Northern Lampung, Ayu Permata Sari belongs to the Pepadun cultural group, one of two playing indigenous groups in Lampung, and Islamic embraces. She started dancing at the age of nine, joining the tough culture of community dance studios in 2000, where she is still a member today. She studied dance at the Indonesian Institute for the Arts (ISI) in Yogyakarta, majoring in choreography in 2010-2014, and continued to pursue a master’s degree at ISI in 2014-2016. She was founded by Ayu Permata Dance Company as a way to stimulate and support her practice as well as that of her collaborators. In 2017, Ayu was selected for residency in Leuven and Brussels (Belgium) as part of the Monsoon Europalia festival. One of her works, entitled Kami Buta [“We’re Blind”] won a “Service Bakti” award at the Asian Technology Festival in Johor, Malaysia, in 2018. The work “TubuhDang TubuhDut” became one of the works that appeared the Showcase (the name program is Kampana for the young artist) at the Indonesia Dance festival (IDF) in 2018, in the same year Ayu undertook a two-week residency at Dance Nucleus in the Singapore as part of her artistic research process and tested the piece at Jejak-Tabi Exchangein the Yogyakarta and Kuala lumpur edition. She studied classical ballet from 3 years old, Based in AICHI Prefecture in Japan, she acts extensively in performing performances such as dance and theater, performances in galleries and public spaces, and so on. She has launched the dance planning organization “NAGOCON” since 2014 and is working to create more environmentally friendly dancers, allowing local dancers to do more free activities and to make the audience more enjoyable in dancing. The Semifinalist of The World Ballet Modern Dance Competition (1996). 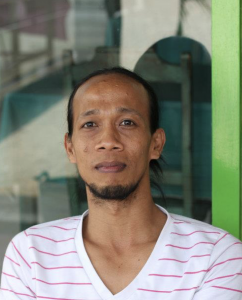 Born in 1983, Boby lives and work in Solo, Indonesia. He finished his study in dance and choreography in 2008 at the Indonesian Institute of the Arts Surakarta. He is one of the founder of Independent Expression, a dance collective in Solo. Boby was nominated as best choreographer at the Bandar Serai Award, Riau in 2004. He also has received some international grants such as Cross Culture Program of the Kennedy Centre, US and the Asia Cultural Council New York. 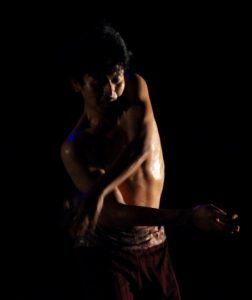 Boby”s choreography focuses on Javanese culture as the inspiration for his contemporary dance works, among them “Pe-thoi #1 and #2”, “Aksara Tubuh”, “Jago”, “ZC”, and “Tudung Saji”. Boby has initiated and work as the artistic director of “ Breksi Dance Festival 2016” and now works as the artictic director of the Dedy Luthan Dance Company, Jakarta. SueKi Yee graduated with First Class Honours for her Bachelor of Dance (Honours) from Aswara National Academy of Arts and is currently a dancer at ASK Dance Company (ADC). Her recent solo But would you know if a fishbowl is just a fishbowl? was awarded the Festival Director’s Award at Short and Sweet Festival 2018 and was selected for IV International Solo Contemporary Dance Festival “Cuerpo al Descubierto” at Mexico. She was in Lisbon for 5 weeks under Metamorphosis International Residency 2018 working with Iratxe Ansa and Igor Bacovich. She has also choreographed for Penang Dance Festival, Dance All Out, She Moves Me by the KL Movement and also for Euphoria Penang. 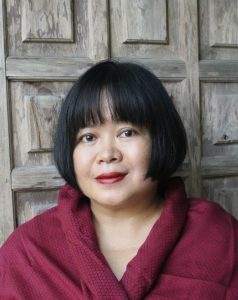 Other projects include being selected for Un Yamada Co.’s People Without Seasons which was staged in KL and Sabah, worked with Nibroll for See/Saw, performed Madu for Release 4.0 in Singapore, Korea Dance Festival 2017, Vietnam International Dance Festival, Cultural Relations Dance Festival in Thailand, Henan Arts Week in China, and collaborated with Landscape Theatre (China) for Georgetown Festival, WuZhen Theatre Festival and SanXinDui Theatre Festival. Sue Ki was also involved in community-engaging projects as a facilitator under Arts Ed. and Aida Redza, as well as Forging Traditions workshops currently conducted by ADC. She is interested in the versatility of dance and is always excited to explore new possibilities. 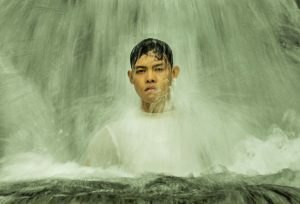 Irfan Setiawan born on February 26th, 1996 in Belinyu, Bangka Belitung Island, Indonesia. He starts dancing Melayu Bangka since 11 years old. 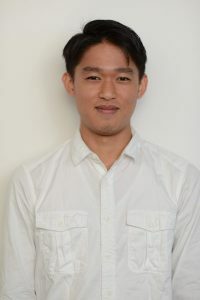 His undergraduate study in Jakarta Insitute of the Arts (IKJ) majoring in dance gave him the opportunity to learn and collaborate from competent choreographers such as Ismaera Takeo, Hartati, Abderzak Houmi, Yola Yulfianti, Eko Supriyanto, Mikuni Yanaihara, Magali Saby and many more. Irfan’s choreography pieces have been showcased and performed in many events be it national or international, he is also one of the best student in his batch who has won many competitions and continuously developing his creative skills in making dance film. Irfan Setiawan’s Choreography pieces including Utopia, Encang Encot, Bala’, Melo Sang, Dystopia, Paradox, FGF, In between, Kenanga, Ten, Sun Ali : Rightful. Cahwati was born in Banyumas , lives and works in Solo. She studied at the Indonesian Classical Arts High School (SMKI), in Purwokerto and later at the Indonesian Institute of the Arts Surakarta. She has created numbers of dance pieces, among them Banjaran Ronggeng Dukuh Paruk (Rows of dancers from Paruk hamlet), Lengger Dukuh Paruk (Lengger dancers from Paruk hamlet) and Sensuality of Lengger, Brantarara. 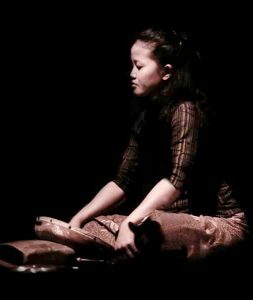 Cahwati has not only introduced modern dance steps into traditional lengger dance movements, she has also combined calung (bamboo xylophone) and kendang (traditional drum) with flutes, guitars, violins and other diatonic instruments in the accompanying music. 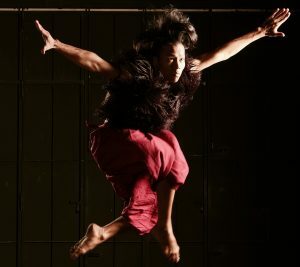 Cahwati has been involved in various productions such as of Sen Hea Ha’s Infinita show (2005) and Wahyu (Revelation) in Belgium: Garin Nugroho’s Selendang Merah, Opefa Jawa, Setan Jawa; Otniel Tasman’s Lengger Barangan; and in Melati Suryodarmo’s various dance projects since 2013. Born in 1998 in Jakarta. Razan begun to dance when he was ten years old and started learning Hip Hop. He joined Gigi Art of Dance Jakarta in 2015 and in 2017 he finished his internship and training, where he worked as dancer, assistant choreographer, dance instructor, as well as in the production and management. 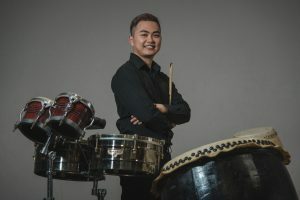 He has participated in various dance production under the choreography of Melati Suryodarmo, Riyanto, Eko Supriyanto, Didik Nini Thowok, Ari Rudenko, Andra Fembrianto and Gigi Giadi. Currently, he is studying a the the Indonesia Institute of the Arts Surakarta. LLB graduate. 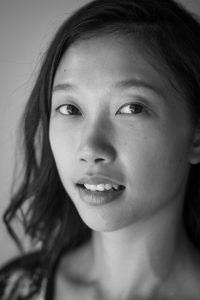 Active in the local and international dance scenes, having the opportunities to perform locally in Tari, MyDance Festival, Le French Arts Festival, SounDance by RAW Arts Space, and many of the performances held by Kwang Tung Dance Company, and etc; also internationally in Festival Tokyo 2016 (Japan), Goyang International Dance Festival (Korea), the 5th no ballet International Choreography Competition (Germany), Guangdong Modern Dance Festival (Guangzhou, China), CONTACT: A Week of Dance (Singapore). Was selected to participate in the International Young Choreographer Program in Kaohsiung, Taiwan in 2013 and SEA Choreolab in 2015. 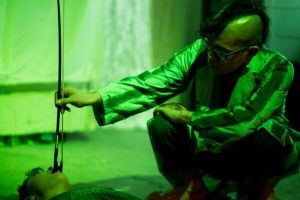 Have collaborated with many local and international artists from various backgrounds, performing in many other dance forms including butoh, hip hop, dance improvisation. Constantly curious and always looking for ways to explore the connections of the body and breath, to space and time. A firm believer that human are natural movers, hence beginning to put in more of her effort in community projects, hoping to bring dance closer to the people and life. 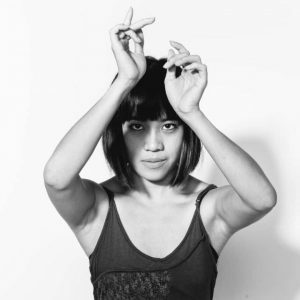 Currently a dancer with Kwang Tung Dance Company, choreographer, dance and Pilates instructor. Agil was born in 1997 in Wonosobo, Indonesia. He is a student at the Indonesian Institute of the Arts, Surakarta. Agyl”s interests are both in traditional and contemporary dance. He has been part of many dance projects in Indonesia. He was born in Tokyo in 1972. He has participated in Nibroll as sound director. Nibroll is a Japanese dance group which is composed of one choreographer, one videographer, one musician, one visual artist and various dancers. Also he plays and collaborates with many kinds of musicians and artists, never following a specific style. 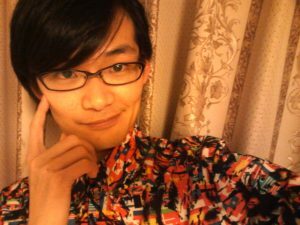 Also he has contributed to Yubiwa Hotel (the name of a theatre company) as a sound creator and a performer. He is a main member of the band ” MEXI ‘’. He has given live performances, and has made a lot of music for dance performances, a theatre company, and movies.He has also participated in SSS,T (Six Strings Sonic, The) as a guitarist and won the excellence prize of the 2005 Japan Medhia Arts Festival. Lately he has collaborated with Melati Suryodarmo, and he is energetic in various fields, including holding a solo exhibition. He has created many visual installations in various space such as museum, gallery, theatre and public space. and he also has created performance pieces and intend to pursue the relationship between body and image. He held the solo exhibition the gallery in Milan, Italy and Taipei, Taiwan, and in Japan, BankArt1929, Ohara Museum and others, and also jointed to the international exhibition such as SHANGHAI Biennial, SETOUCHI Art Triennale, Jakarta Biennale 2017 and others. His works have been presented in arts festivals throughout Japan and the world. 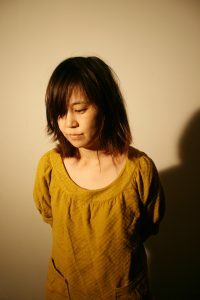 He received the Committee Recommendation Award from Japan Media Arts Festival in 2005. He also has created many performance works as the visual director for the dance company named “Nibroll”. Thong has 23 years of drumming experience and 10 years of coaching experience in this field. He had performed in 16 of countries. He is founder of FrythmS Academy Institute. Thong began learning 24 festive drum, tabla, hang and all kinds of small percussive instrument. He not only specializes in percussion, but also have exposure to modern dance, ballet, tai chi and yoga training. Thong is convinced that percussion is an attitude, is a kind of self-discipline, and also an art of experiencing life with the heart. Born in Osaka, Japan. As a music composer, producer, club DJ and organizer, He has collaborated with various artists around the world. 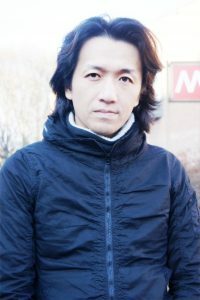 From 1984 to 2000, he joined the Japanese performance group Dumb Type as a music composer and sound designer. 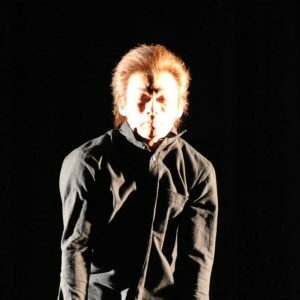 Since 2000, He has been collaborating with Singaporean theater director Ong Keng Sen. 2009, he started to work with the dance company in Kyoto, the Monochrome Circus. 2010, joined the performance group “MuDA”. and started the concert version of Dumb Type’s music classical. She was born in Hyogo in 1998 and she is second grader of department of performing Arts Major in KINKI university. He is student of department of performing Arts Major in KINKI university. His motto is ‘enjoy being together’. 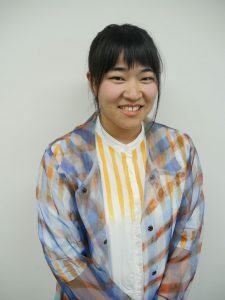 She was born in Hiroshima in 1999 and she is second grader of department of performing Arts Major in KINKI university. Since 2003 he has established a dance company named “afterimage” with Tetsuro Hattori and others, and based on Aichi prefecture in Japan as a dancer and costume designer. Since 2010 he became a producer of “afterimage”. Since 2011 he established “officecassini” and has been planning many dance performances by domestic and foreign artists. Since 2016 he has been producing in a wider area by adding Tokyo, Kanazawa to its activity base.